It's not the first time George Conway has fact checked the president. It’s not the first time Kellyanne Conway’s husband, a conservative lawyer in Washington, has publicly criticized his wife’s boss, the president of the United States, and it likely won’t be the last. (Matt Rourke/AP, FILE) In this Jan. 19, 2017 file photo, President-elect Donald Trump adviser Kellyanne Conway, center, accompanied by her husband, George, speaks with members of the media as they arrive for a dinner at Union Station in Washington, the day before Trump's inauguration. 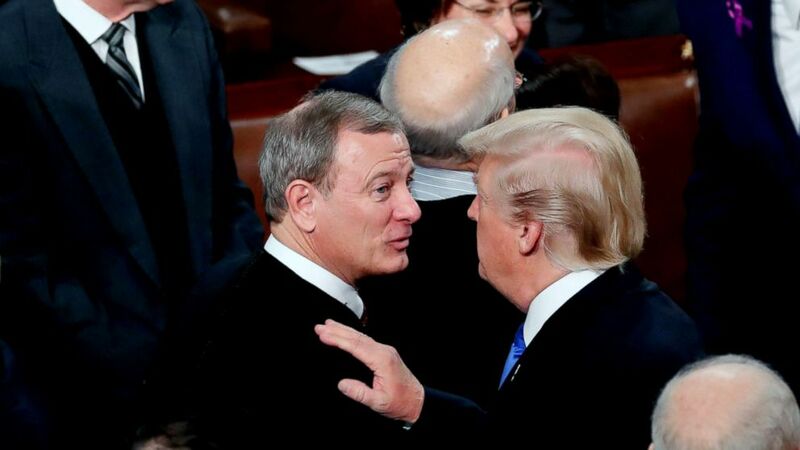 (Jonathan Ernst/Reuters, FILE) Supreme Court Chief Justice John Roberts talks with President Donald Trump as he departs after delivering his State of the Union address to a joint session of the U.S. Congress on Capitol Hill in Washington, Jan. 30, 2018. Stephen Vladeck, a law professor at the University of Texas, tweeted that over the past five Supreme Court terms, three other circuits have seen reversals at a higher percentage — the 3rd, 6th, and 11th Circuits, which represent areas with various political leanings from Ohio to New Jersey. (Justin Sullivan/Getty Images, FILE) A view of the Ninth U.S. Circuit Court of Appeals , June 12, 2017, in San Francisco. “So this is not about judges ‘refusing to follow the Constitution,’ or substituting their own policy preferences for those of the political branches. Rather, it's about a federal judge holding that an executive order violates the plain language of a clear, unambiguous statute,” he wrote. 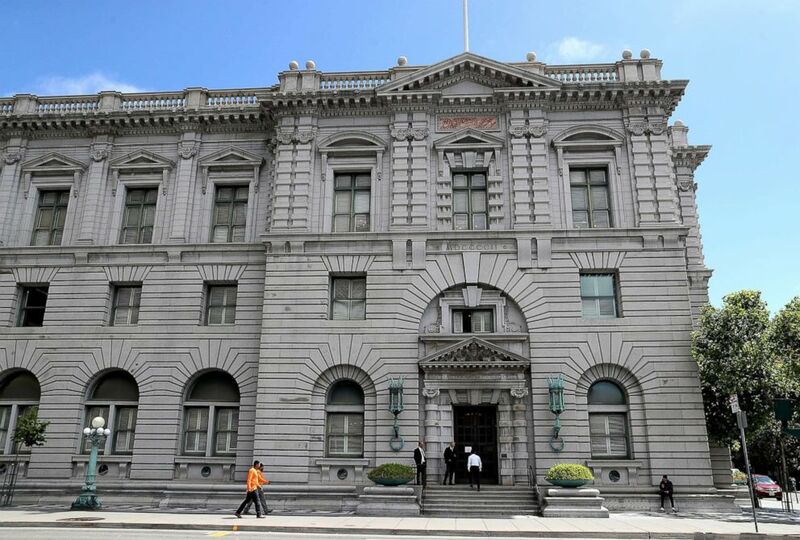 In his ruling, Tigar wrote that the president's proclamation goes against the "expressed intent of Congress" and that it "irreconcilably conflicts" with the Immigration and Naturalization Act, a 1951 law that states that migrants crossing the border at any point can ask for asylum.